The New Leaf is the perfect option for couples looking for a service that will reflect just how special their wedding is going to be. Laurel Quarberg and Sarah Munford are the head florists of this service and their passion for their work is what distinguishes The New Leaf from all other flower shops in Virginia Beach. Speaking directly to this pair will get you all of the advice, guidance, tips and inspiration you need to ensure that your ceremony and reception is awash with color and beauty. Choosing Bayberry Flowers & Accessories will give you access to a wide range of flowers from local ones to some of the most exotic available. Reviews from previous couples always mention that with this company they were able to get the exact colors and arrangements that they needed. If you are unsure of the wedding flowers that would suit your venue best, then you can talk to these experts for their unbeatable guidance and tips on how to get the best results from various types of flowers. Everything about The Flower Studio exudes luxury. Bill Dougherty brings all of his 25 years of experience in the floral industry and his love of beauty to create some of the most incredible arrangements available in Virginia. With his impressive background in anything creative that you can imagine you can be sure that this floral genius will take your breath away with the flowers he delivers on your important day. 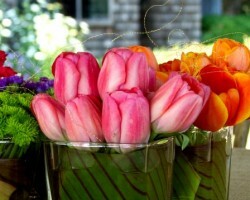 There is no other Virginia Beach florist that comes close to the quality provided by Bill and his team. 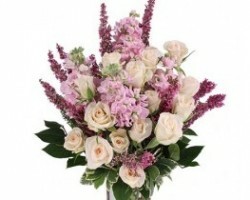 Roost Flowers is so much more than the majority of other florists in Virginia Beach, VA. 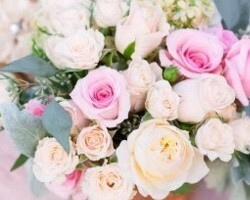 This service offers floral design than just putting flowers together. This means that they really listen to the needs and wants of their clients and design something completely tailored to each individual that they work with. Becky, the founder and head florist, not only loves arranging flowers but grows them herself. 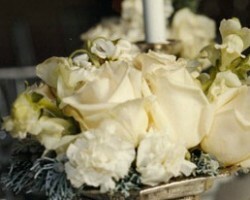 You can have direct access to her expertise when you hire Roost Flowers for your wedding. 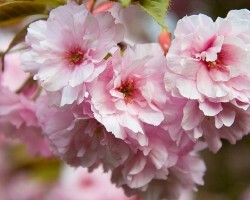 What could be better than a family owned florist that has been serving couples throughout Virginia Beach since 1986? This service has one of the best collections in the business and they offer highly reliable flower delivery in Virginia Beach, which means that the centerpieces and bridal bouquet will arrive without a petal out of place. As this service is a local one, they really care about their clients and try to keep their overall prices as affordable as possible.